Nanzaro, Ben and I went for lunch after church service on Sunday. It was a cold day and Nanzaro wanted something with hot broth. 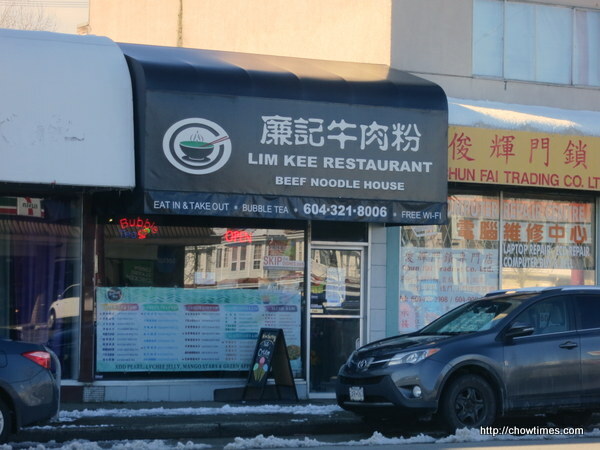 Ben drove along Victoria Dr. and spotted the above Lim Kee Restaurant with Beef Noodle House on it’s awning. We thought it serves Taiwanese Beef Noodle Soup. Ben ordered the House Special Noodle and it turned out to be Vietnamese style beef noodle. No wonder we smelled the aroma of Vietnamese beef noodle while waiting for our order. 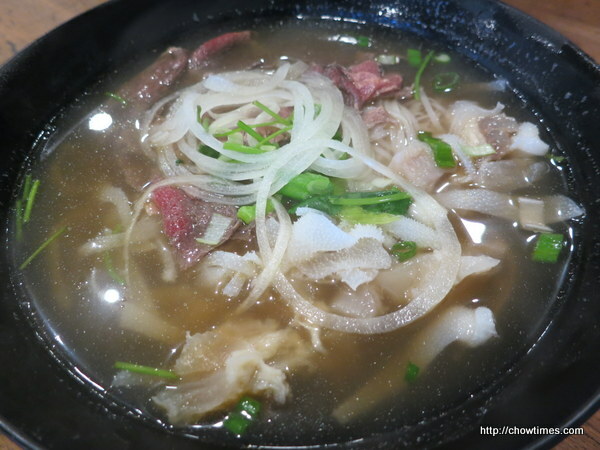 The house special noodle soup comes with sliced beef, tendon and tripe. 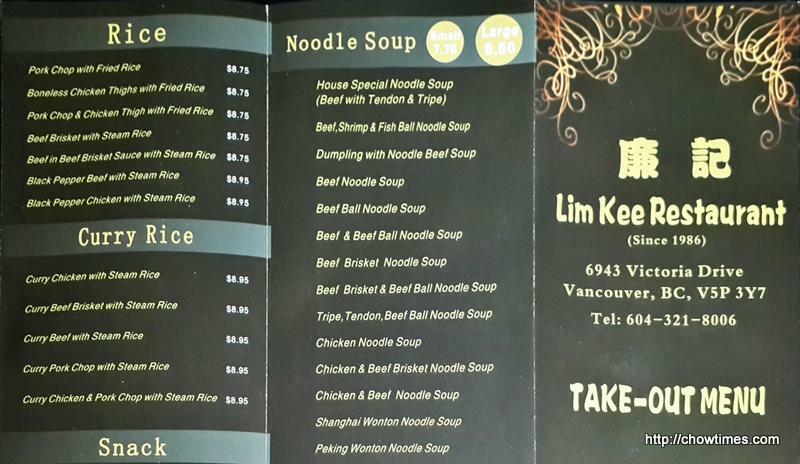 Lim Kee Restaurant only serves bean sprouts with the beef noodle soup. There is no basil like most other Vietnamese restaurants. 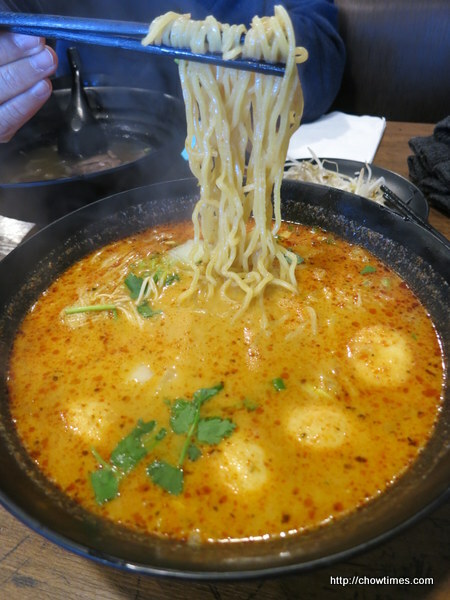 I ordered the “Built your own noodle combo” with ramen noodle and laksa broth. 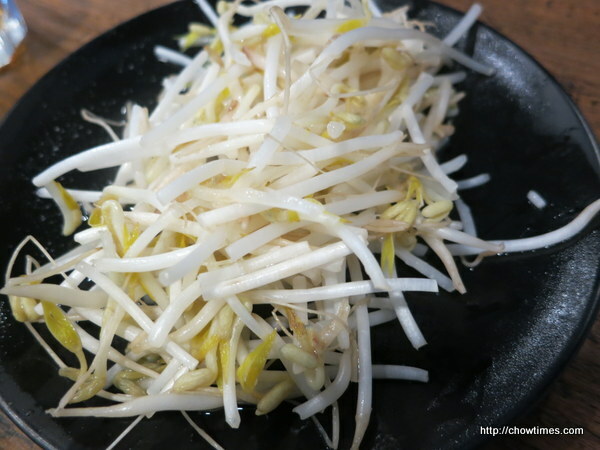 I ordered it with fish tofu and pork ball but the server seemed to make a mistake and my pork ball was replaced with enoki mushroom. I was quite skeptical when she took our order as she did not write it down on any paper. She actually came back to our table to retake my order and yet it still came up wrong. They should have written down customer’s order on a paper or order chit to prevent such mistake. I did not mind the mistake. I like the al-dante ramen but the serving seemed small. However, there was a lot of broth in my bowl. The suey choy that came with the noodle was also not much. I felt that Bubble Waffle’s noodle bowl has a lot more ingredients than this one. 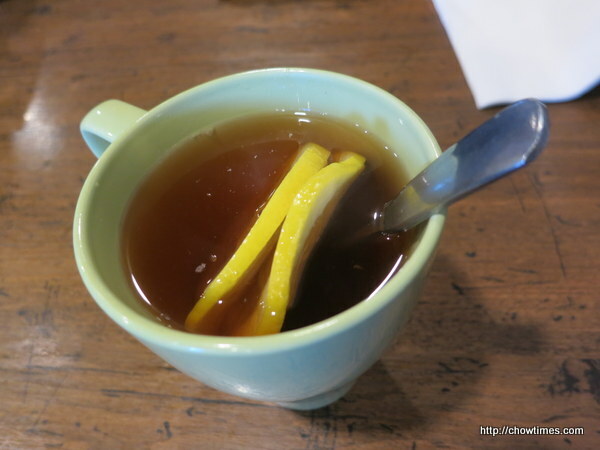 My order came with a drink and I had hot lemon tea. 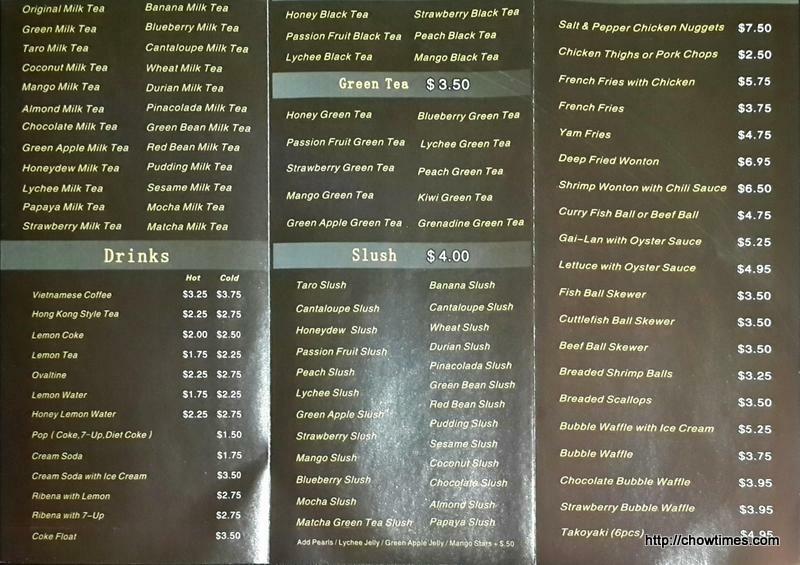 The rest of the orders do not come with a drink. Nanzaro ended up ordering the Chicken Nugget with Fried Rice. He loves the boneless chicken nuggets. 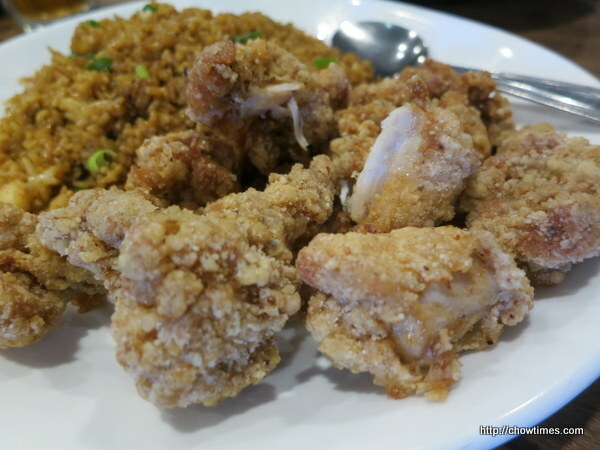 Fried rice with a side meat seemed to be very popular here as we saw many customers ordered such dish. 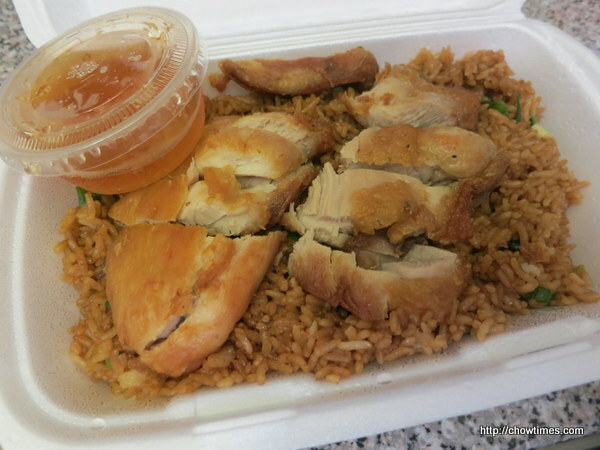 We ordered the special which is 2 pieces of chicken with Fried Rice for takeout for Arkensen. 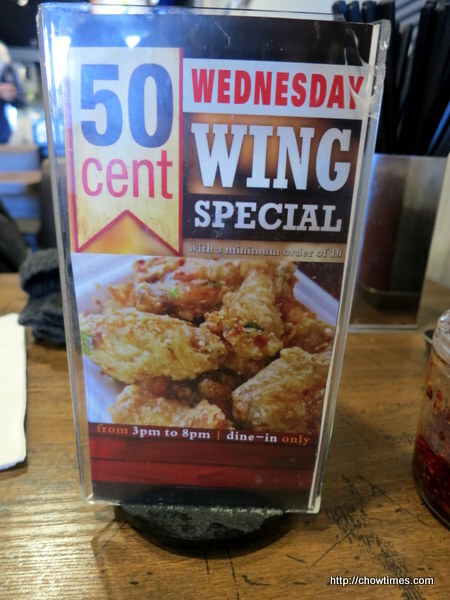 The special is $7.50 and it was a big serving as Arkensen had 2 meals out of it. 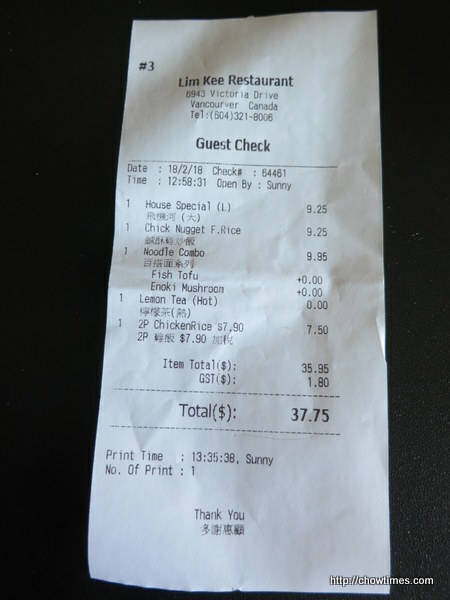 Lim Kee Restaurant accepts cash and debit card. 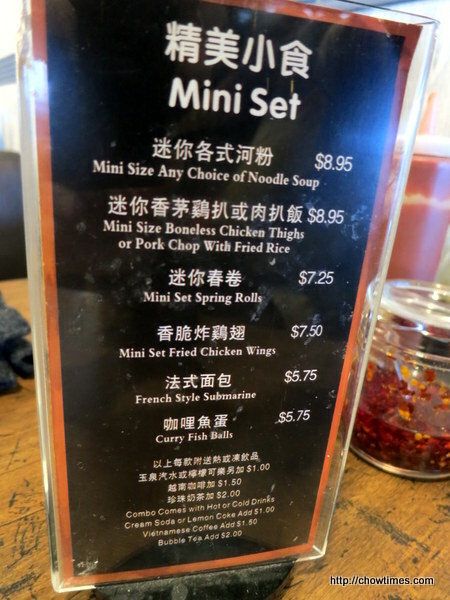 The above are Wing special and mini sets. Lim Kee Restaurant was busy on a Sunday lunch hour.